I LOVE Marimekko stuff. The prints are geometric and fun! 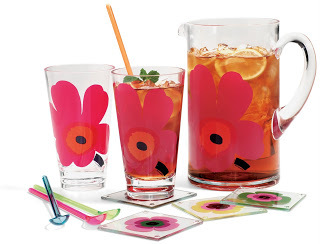 So of course I am loving these Marimekko glasses and pitcher. So cute!